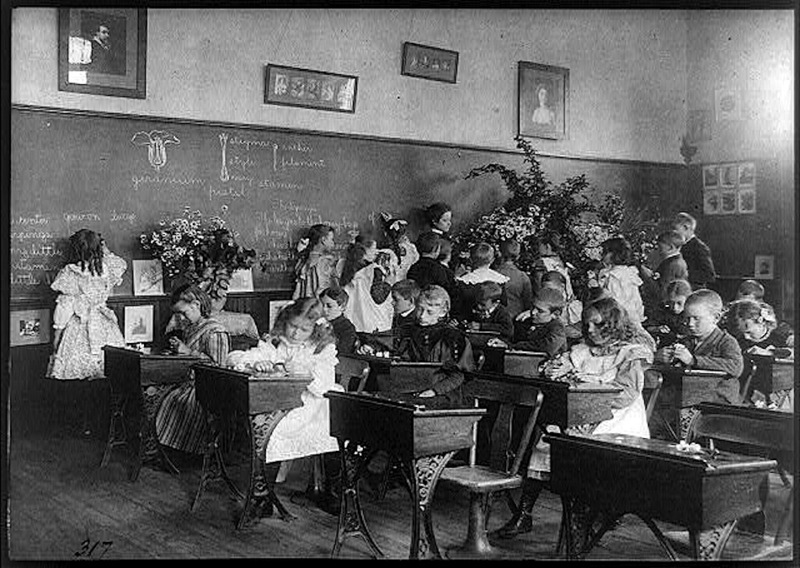 “A class in flowers, 6th Division,” ca. 1899, by Frances Benjamin Johnston, via Library of Congress Prints and Photographs Division. Before she began the work she is probably best known for, that of photographing old houses and gardens, Johnston was a photojournalist and a portraitist. In 1899, she became interested in progressive education and made a photo survey of students at public schools in Washington, D.C.